The Index continues moving upwards, just as I expected. Yesterday the price reached a new local maximum. Most likely, the market will continue growing up during the next several days. 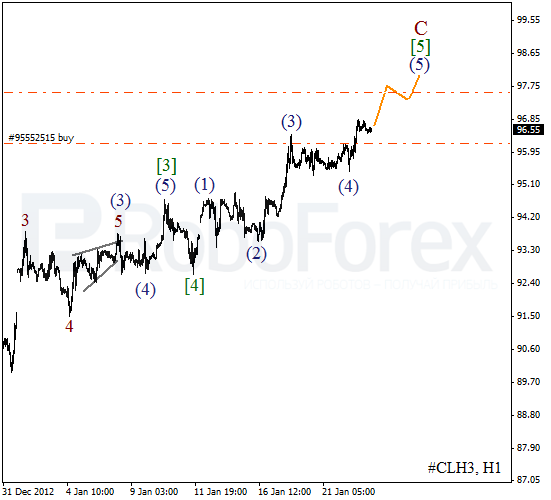 The target for the bulls is at the level of 13800. 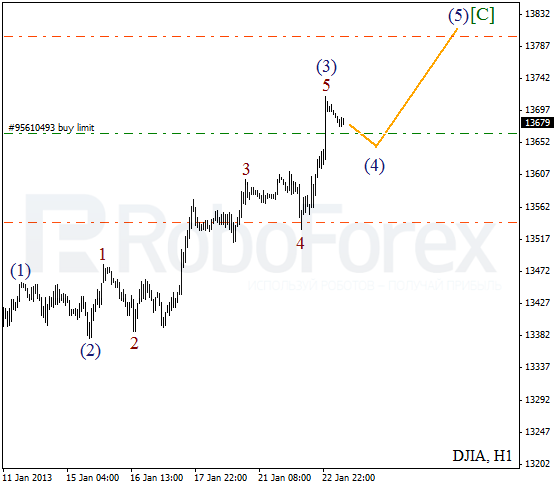 At the H1 chart we can see that the price completed an expansion inside wave 3. 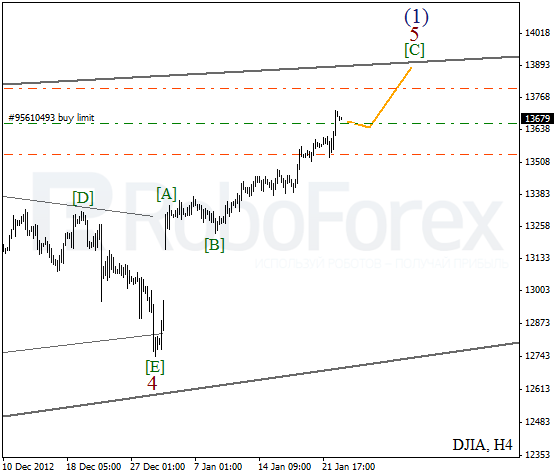 Currently a local correction is taking place, after which the Index is expected to form another ascending wave. Yesterday the bulls reached a new local maximum and I moved the stop on my buy order into the black. We can’t exclude a possibility that in the nearest future the price may continue moving upwards. Take Profit is placed at the level of $97.60 per barrel of Light Sweet. 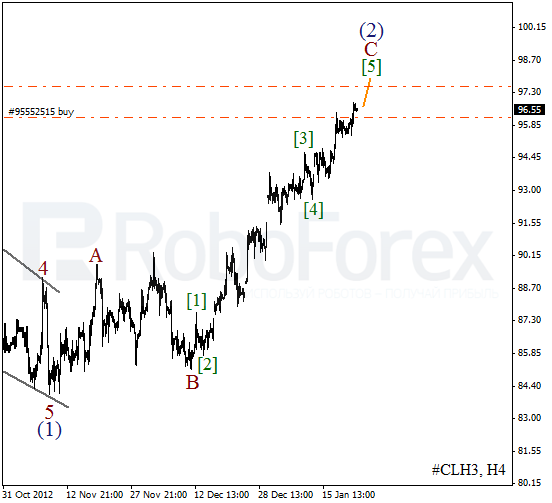 As we can see at the H1 chart, the instrument completed the fourth wave in the form of flat pattern. Currently the market is growing up and finishing a slight correction inside the fifth wave. it looks like Oil is going to reach a new local maximum during the day.